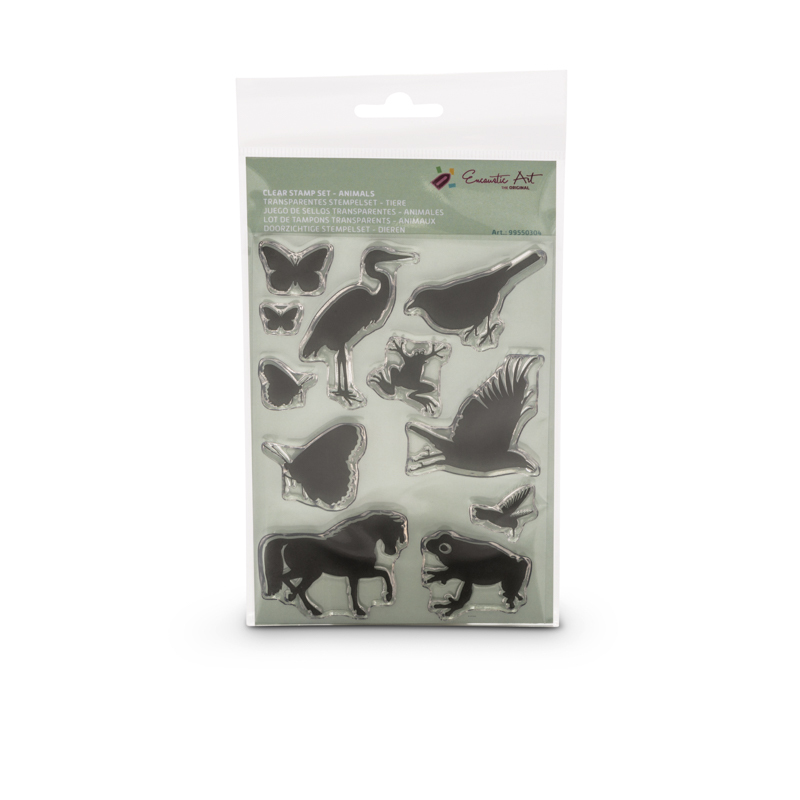 The animals clear stamp set is packed with silhouettes that make great subjects within your encaustic art images. This set of animals includes insects and a funny little frog that jumps into all sorts of situations! Experiment with these fun stamp designs and see what you can create.